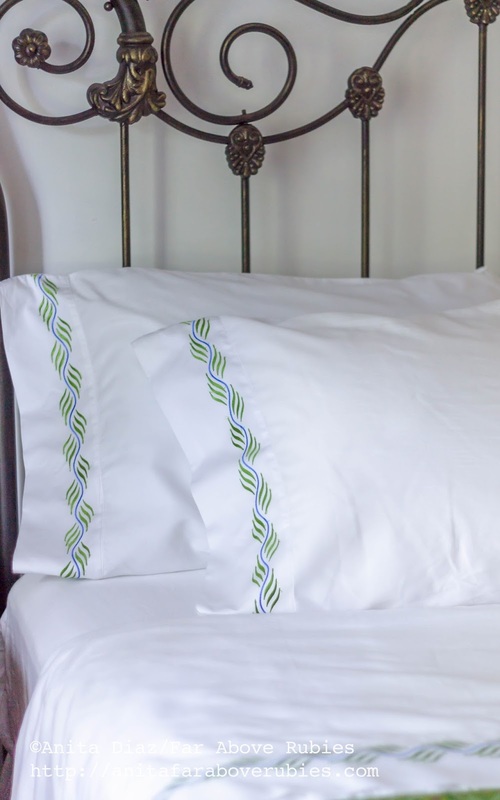 If there is one thing I *must have* in white, it's pretty bed linens. You can imagine I was really excited after being contacted by Perfect Linens to try a set of their linens. Ingenious “Second Skin” sheets are the result of a natural enzyme process that removes molecules from the cell walls of the cotton, making the fibers easier to bend. The enzyme process is permanent so the suppleness cannot wash out. Sateen-weave, with fewer yarn-locking intersections per square inch, further reduces stiffness. The durable 400-threadcount Egyptian cotton construction is mid-weight and ensures dependable wear. I washed these first, then let them line dry in the sun. They needed a little ironing, but were beautifully crisp and nice when I put them on the bed. The fabric is really luxurious and the sheets are very generous in size. My antique bed is only full size, and since Perfect Linens only offers queen and king, I opted for queen. They actually work just fine on my extra thick mattress, so don't worry if you have a smaller bed. I really love these linens!! They look and feel so luxurious, and I expect they will last a long time. The linens were provided by Perfect Linens, and the opinions expressed here are entirely my own. Very pretty...I love white linens as well. 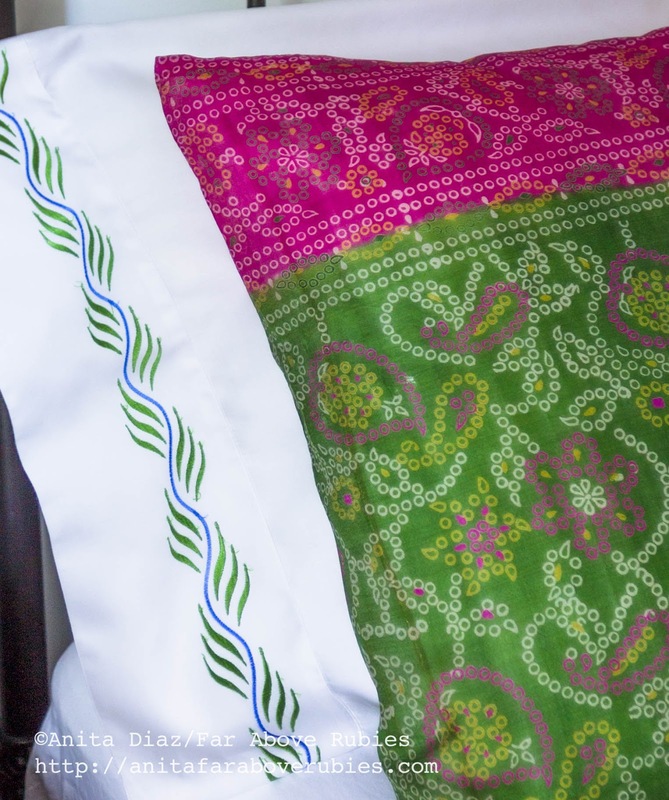 They feel so refreshing and remind me of when I was a child and my mother ironed the sheets! Thank you Jane! Yes, they definitely bring back that feeling of childhood for me too! 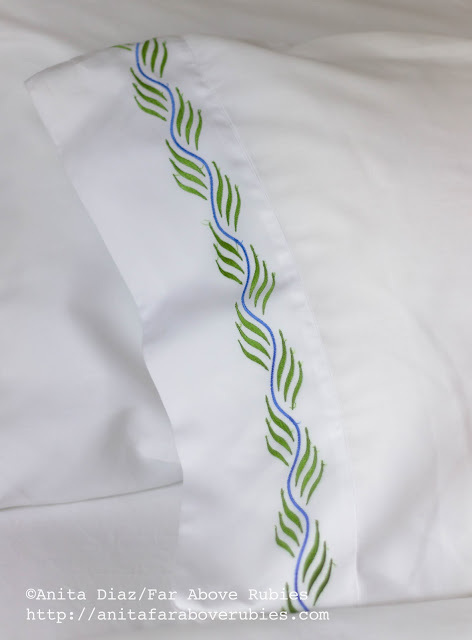 My grandmother's sheets always smelled SO good! 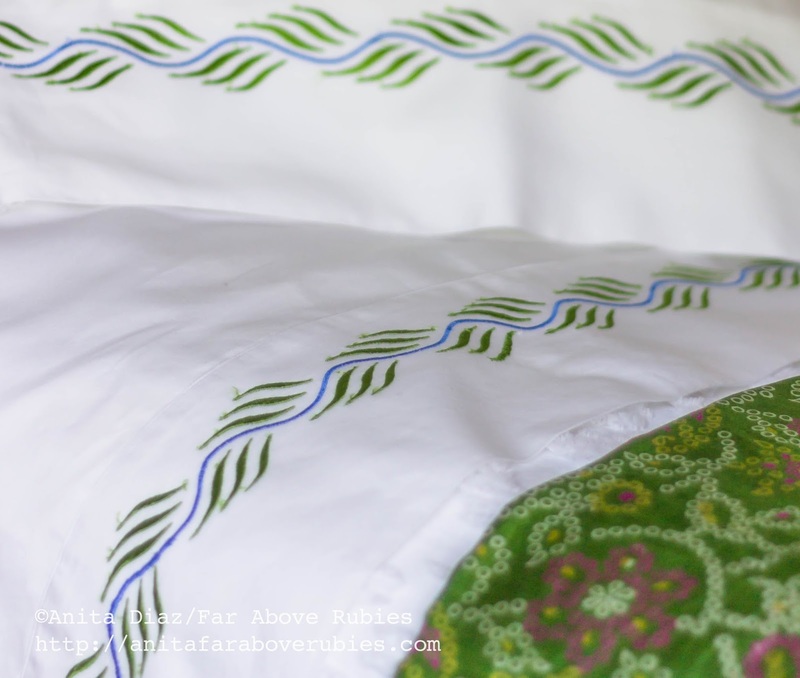 So beautiful Anita...I have seen these wonderful sheets throughout blogland and each and every one I see is just exquisite. 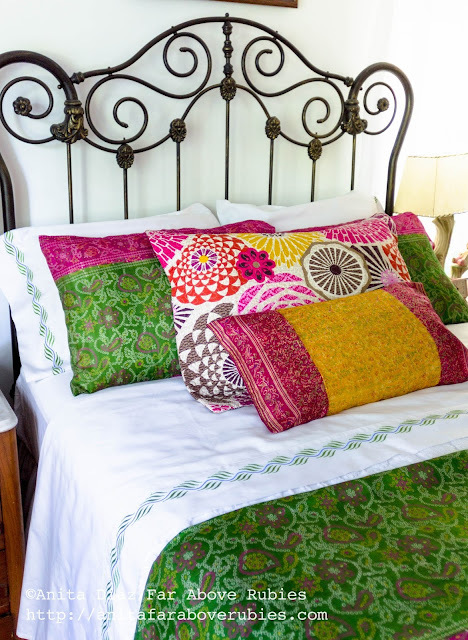 I love the colors in your bedding and the sheets go so perfectly with them! Those are gorgeous, I love the pattern!